Are you ready to get rid of all that junk and clutter in your office space? Call Dog Gone Junk and have our licensed, insured, professional and courteous crew come to your office and clean out everything for you. Whether you are upgrading to a new office, or downsizing to a smaller office, you will inevitably end up with a lot of unwanted things that need hauled off. It’s much like when you move into a new home. Whether upgrading or downsizing, and even if you plan on taking most of your items with you, you will always end up with piles of old items, or trash, that you just don’t want to take to your new office. You don’t even have to be moving offices. You may just be upgrading furniture or equipment in your present office and just need someone to get rid of your old stuff. Dog Gone Junk will gladly come and remove all your old things and find new homes for them. Leave the office cleanout in Springfield Missouri to the professionals. Take the important items that you want to bring along with you and leave all of the other stuff behind. We can organize, load up, and haul away everything that you no longer want. If any of the items left behind are salvageable, such as old office chairs, desks, electronics of any kind, and more, we will take those to a partnered donation facility or to an individual or family in need. And if you are leaving everything behind and don’t want to deal with any of it, we can do that too. Don’t lift a finger and we will clean out the office or an entire office building and haul everything away. When we are done, we will sweep the floors and clean up and you will never have to break a sweat. 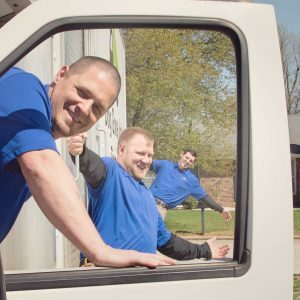 Call Dog Gone Junk for a no obligation, free estimate on all of your office cleanout, or junk removal needs.